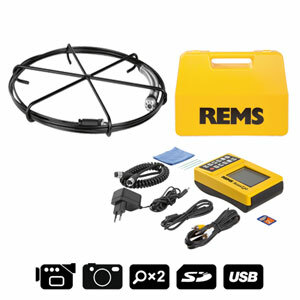 Innovative product development and years of experience in the field of pressing technology make REMS today one of the leading manufacturers of crimping tools and an important partner of specialist dealers and system manufacturers / suppliers. The REMS radial presses are universal for all common pressfitting systems and meet all requirements in respect of work, functional and operational safety for perfect, system-conformity, secure crimping. Apart from the manual radial press REMS Eco-Press with final-lock positioning REMS manufactures electric radial presses with or without automatic switch-off, with acoustic switch-off signal or with automatic circuit control and electronic service call. For any requirement the right solution. 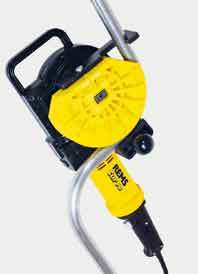 With REMS crimping tools several hundred thousand pressing joints of different pressfitting systems are produced every day to the great satisfaction of the users. Universal, manual radial press for poducing pipe pressing joints for all common pressfitting systems. Pressing joints with plastic and multi-layer composite tubes Ã˜ 10â€“26 mm. REMS pressing tongs, also suited for drive units of other makes. REMS Eco-Press â€“ universal up to Ã˜ 26 mm. Secure crimping in seconds. Complete assortment of REMS pressing tongs for all common pressfitting systems. 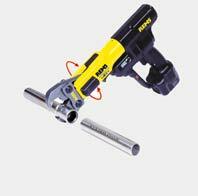 Universal, handy electric tool for making pipe pressing joints for all common pressfitting systems. Pressing joints Ã˜ 10â€“76 (108) mm. REMS pressing tongs, also suited for drive units of other makes. 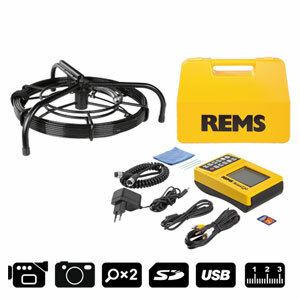 REMS Power-Press E â€“ universal up to Ã˜ 76 (108) mm. Secure crimping in seconds. Automatic locking of pressing tongs. 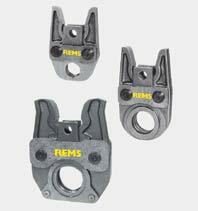 Complete assortment of REMS pressing tongs for all common pressfitting systems. Universal, handy electric tool with electronic switch-off for making pipe pressing joints for all common pressfitting systems. REMS Power-Press 2000 â€“ universal up to Ã˜ 76 (108) mm. Secure crimping in seconds. Automatic switch-off. Automatic locking of pressing tongs. Complete assortment of REMS pressing tongs for all common pressfitting systems. Universal, handy electric tool with automatic circuit control for making pipe pressing joints for all common pressfitting systems. 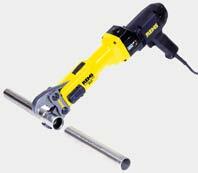 REMS Power-Press ACC â€“ universal up to Ã˜ 76 (108) mm. Secure crimping in seconds. Automatic circuit control. Automatic locking of pressing tongs. 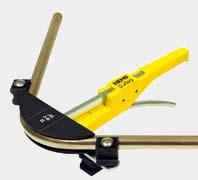 Complete assortment of REMS pressing tongs for all common pressfitting systems. Universal, handy electric tool with switch-off signal for producing pipe pressing joints for all common pressfitting systems. No cable. REMS Akku-Press â€“ universal up to Ã˜ 76 (108) mm. 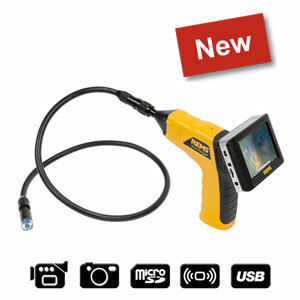 Secure crimping in seconds. Optimum weight distribution for single-hand operation. Automatic locking of pressing tongs. Complete assortment of REMS pressing tongs for all common pressfitting systems. Universal, handy electric tool with automatic circuit control for producing pipe pressing joints for all common pressfitting systems. No cable. REMS Akku-Press ACC â€“ universal up to Ã˜ 76 (108) mm. With automatic circuit control and electronic service control. Secure crimping in seconds. Optimum weight distribution for single-hand operation. Automatic locking of pressing tongs. Complete assortment of REMS pressing tongs for all common pressfitting systems. 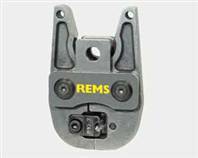 The appropriate selection of the material, the exact manufacturing and the special tempering process are essential for long and safe functioning of REMS pressing tongs. During the crimping operation pressing forces of up to 100 kN (10 t) may apply at the pressing jaws which have to be safely absorbed. Therefore REMS pressing tongs are made in forged and specially hardened, high-strength steel. The specific pressing contour is precisely machined and shaped together with the required outer machining of the pressing jaws and the denomination of the pressing contour and pipe size - in one operation on CNC production centres. Thanks to the specific tempering of the pressing tongs by in-house hardening an ideal combination between hardness and toughness is being reached. This manufacturing process guarantees that the machined pressing contour will be transfered correctly to the pressing joint with a long service life. Because of this high quality standard millions of perfect, system-conformity, secure pressing joints are produced with REMS pressing tongs. Complete assortment of REMS pressing tongs with system-specific pressing contour according to the respective pressfitting system. 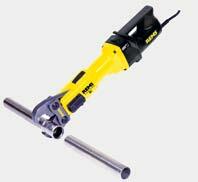 The suitability of press tools is determined basically by the manufacturer of press tools. Moreover the suitability of REMS press tools has been confirmed by the system manufacturer/supplier himself or approved through independent testing institutes. More than 90 % of the manufacturers/suppliers of the pressfitting systems listed herein have tested REMS pressing tongs and confirmed the suitability for their pressfitting system. Available for biroduct P, Geberit Mepla, mapress C-STAHL, mapress EDELSTAHL, mapress Kupfer, Nussbaum Cupress, Nussbaum Optipress, Unicor Unipipe, Velta FuÃŸbodenheizung, Velta rapex P, Viega-'profipress', Viega-'profipress G', Viega-'sanfix P', Viega-'sanpress', Viega-'Viegatherm P', Wavin Tigris. 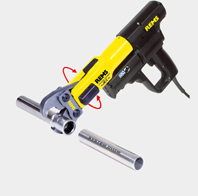 The TÃœV-certificates confirm that REMS crimping tools are suitable for producing perfect and system-conformity pressing joints corresponding to these systems, both in conjunction with REMS pressing tongs and the pressing tongs of system manufacturers/suppliers. Pressing joints produced with REMS press tools have been tested by the state-operated material testing institute (MPA) in Darmstadt/Germany according to DVGW work sheet W 534. The institute is certified to perform these tests by the DVGW. A representative selection of pressing joints of pressfitting systems biroduct P (Velta), mapress EDELSTAHL, Unicor Unipipe and Viega-'profipress' were tested. All tests passed. Pressing joints produced with REMS press tools have been tested by the TÃœV according to DVGW VP 614. A representative selection of press joints of pressfitting systems mapress EDELSTAHL GAS, mapress KUPFER GAS, IBP >B<press Gas, Viega-'profipress G', Viega-'sanpress INOX G' and WOESTE 'Yorkshire' RYW Gas PRESS FITTINGS were tested. The tests lead to the result that all REMS press tools are suitable for producing perfect and system-conformity pressing joints in accordance with these systems. referred to in the following as suissetech. 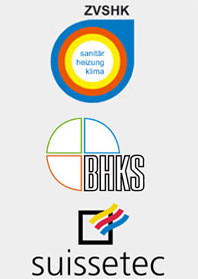 The Central Organization for the Sanitary-, Heating- and Climatization Industries (ZVSHK), the German Association for Heating, Air Conditioning (BHKS), the Swiss-Liechtenstein Technical Building Association (suissetec) and REMS-WERK, Christian FÃ¶ll und SÃ¶hne GmbH & Co (REMS) have concluded a hold-harmless and indemnification agreement for radial pressing tools. 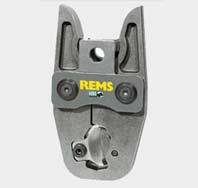 This makes REMS the first system-independent machine- and tool manufacturer to have concluded a hold-harmless and indemnification agreement for pressing tools. The conclusion of the agreement was effected on the basis of a successful cooperation established on partnership between REMS, the crafts, trades and industry and their organizations. Eligible for services and performances from this agreement are all independent professional craftsmen, and companies of such, who are enrolled in the register of artisans and craftsmen (referred to in the following as â€žSHK-Establishments"), in as far as they have been members of the crafts guild of the sanitary- heating- and climatization enterprises competent for their business location at the time the damage event has arisen, and this crafts guild is associated with a regional guild association, which is a member of the ZVSHK. Eligible for services and performances from this agreement are all building systems companies (following TGA companies) who, at the time the damaged is caused, are members of the responsible industrial association for heating, air-conditioning and sanitary systems, thus making them either a direct or indirect member of the BHKS. Eligible for services and performances from this agreement are all building systems companies (following TGA companies) who, at the time the damaged is caused, are members of suissetec. In as far as the radial pressing tools mentioned show a defect with regard to construction, manufacture or material, or if the operator's manuals are faulty, or if REMS does not sufficiently comply with its product monitoring obligation, thereby causing damage for the customer of the SHK-Establishment or the TGA company, for which the SHK-Establishment or the TGA company is liable, then REMS shall be additionally liable â€“ aside of the statutory prescriptions â€“ for the consequences resulting from leakage, in accordance with the stipulations and provisions of this hold-harmless and indemnification agreement. The hold-harmless and indemnification agreement shall be independently valid, regardless of which pressfitting system is pressed with the REMS pressing tools. The suitability of the REMS pressing tools for the press-fitting systems shall be gathered from the respective current sales documentation. Please consult Mr. Walter Hindelang for further information: walter.hindelang@rems.de. Steel, stainless steel M 6â€“M 12. UNC on request. Cropping inserts M with precise thread contour machined on CNC production centres ensure guidance of threaded rod during cropping. Thus cropping to length, free from burrs. After cropping the threaded rod, just screw it into the threaded connection of the pipe clamp or nut. Drive through all REMS radial presses and through suitable radial presses of other makes. 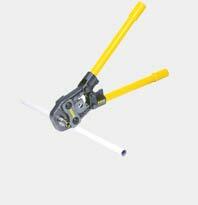 High-grade cable shear in forged and specially hardened steel for cutting electric cable. Electric cable up to Ã˜ 30 mm. REMS cable shear with replacable cutting blades manufactured on CNC production centres ensure a precision blade geometry and long service life. Large cutting range. Drive through electric REMS radial presses and through suitable radial presses of other makes.